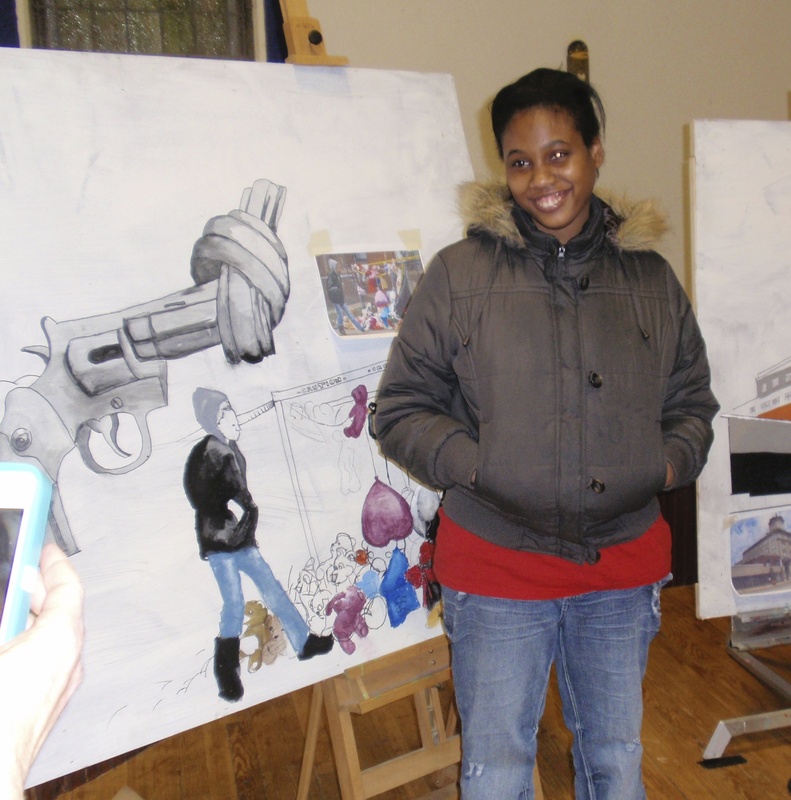 Pedra Jennings, 17, poses in front of a section of the mural depicting Coateville’s dark side, as seen through a group of teenagers. The striking image seems out of place in a former church, where a bevy of adolescents have gathered after school, initially engaging in playful banter. On a large board lined up along one side of what was once the sanctuary, a graphite sketch of a revolver looms large, its barrel twisted into a knot. The drawing was designed and created by the students, part of an ambitious mural that has been taking shape on Monday evenings since October, co-sponsored by the Bridge Academy and Art Partners Studio, two nonprofits working to offer youth an alternative to streets sometimes plagued by violence. 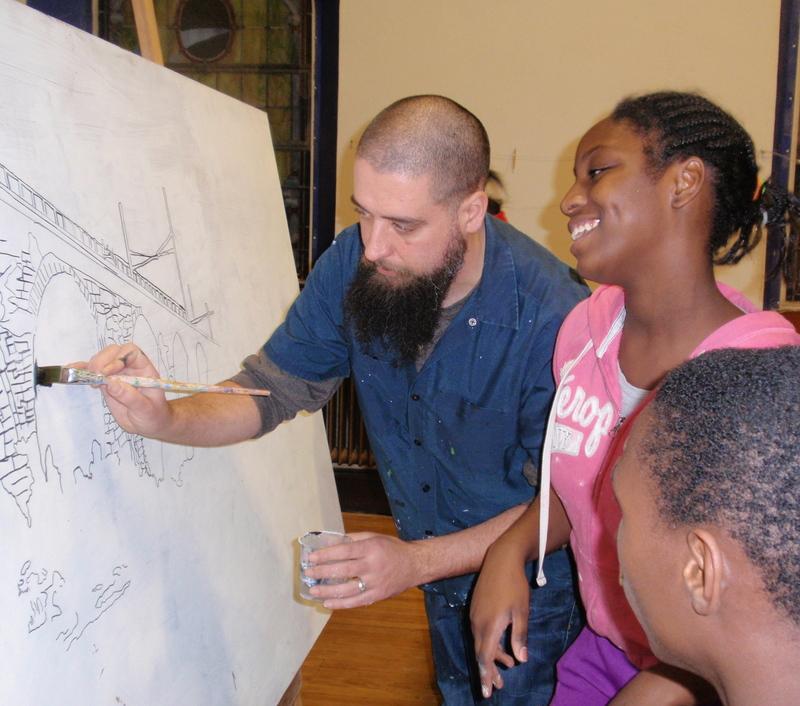 Within minutes, Shawn Wanner, a professional muralist who works for Art Partners, has solicited input about where the students want to work during the hour-long session. After distributing brushes and paints, Wanner, positions himself on the floor near the action. 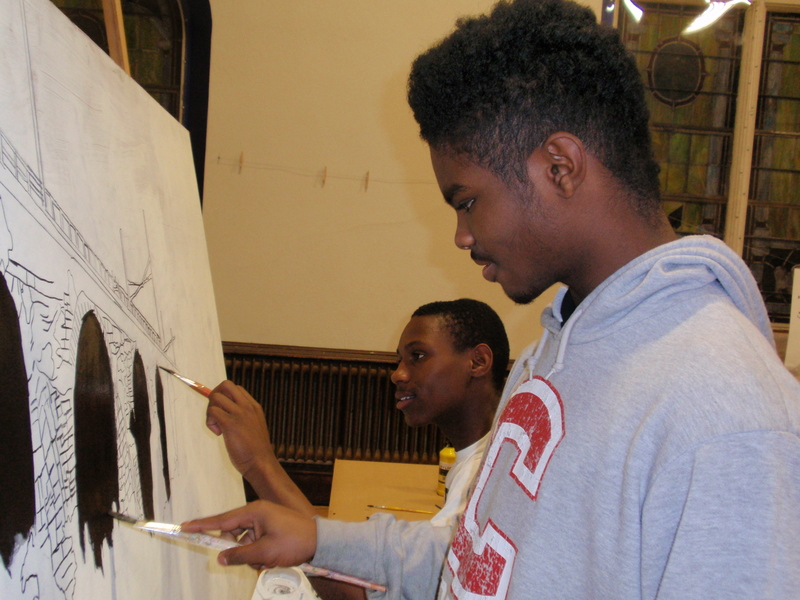 Dondre Pittman (left), 15, and Nasir Newton, 15, work on the image of Coatesville’s railroad bridge. Both said the project introduced them to the fun of painting. By now, the chatter has dissipated as the teens become immersed in their piece of the complex initiative. The silence is occasionally broken when Wanner fields questions, makes suggestions, and admires the results. And so are the 10 to 15 students who show up each week, most ranging from sixth- to 12-graders. Fifteen-year-old Amanda Gayton said she has loved art for years so the opportunity to work on the project attracted her from the beginning. “We just finished a mural at school,” she said, referencing a CASH after-school project in the 9th and 10th Grade Center’s cafeteria. Nisia Pittman, 11, gets a demonstration from instructor Shawn Wanner as her brother, Dondre Pittman (bottom right), 15, watches. Tykesha Jackson, 26, is one of a handful of older students who participate. “I just really like drawing,” she said as she added details to a building. The mural’s theme – “Darkness into Light” – provides sobering insight into the impact violence has had on the lives of these teens. Drawings chronicle traumas ranging from arsons to homicides to a lynching. But those visions are not what the young people want to see, and the mural will also contain pictures of Coatesville infused with their hopes and dreams, explained Tyler Changaris, Bridge Academy’s assistant director. Changaris said the bottom of the mural – six panels approximately four feet by eight feet each that will be arranged in three rows – will focus in gloomy hues on Coatesville’s dark side. The middle section will depict recognizable city elements in medium tones, such as CASH’s Red Raider mascot, the clock tower, and the railroad bridge, and the top panels will be reserved for the lightest colors, which will reflect the teens’ vision for a better community. 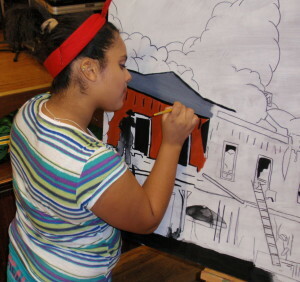 Amanda Gayton, 15, works on a section of the mural depicting the arsons that terrorized Coatesville. One of the more poignant, negative images shows a mother and grandmother grieving for their son and grandson respectively, the victim of a 2003 Coatesville homicide. Highlighting the difficulty of avoiding the aftershocks of crime in a city with the county’s highest murder rate, several of the young artists are related to the victim. In fact, the girl who drew the image on the panel is the victim’s niece, Changaris said. Another reminder of the city’s perils occurred Dec. 13 when Devaughn W. Shelton, 23, was shot inside his home – right across the street from the Bridge Academy. Started in 2002, the Bridge Academy and Community Center is a Christian ministry devoted to providing creative arts, education, and outreach to children and their families. 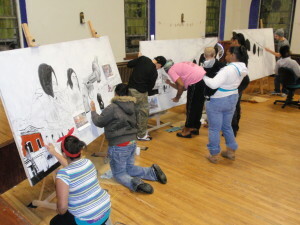 In addition to the mural project, the center’s myriad offering include art, cooking, Bible and equestrian classes; study groups, tutoring, and a mom’s club with child care. Executive director Jordan Crans said teaming up with the Art Partners Studio, another nonprofit in the city offering children a creative outlet, just made sense. She said the kids get nurturing instruction from Wanner and continue to be buoyed by the results. “It’s really exciting to see the enthusiasm build as the project develops,” she said. 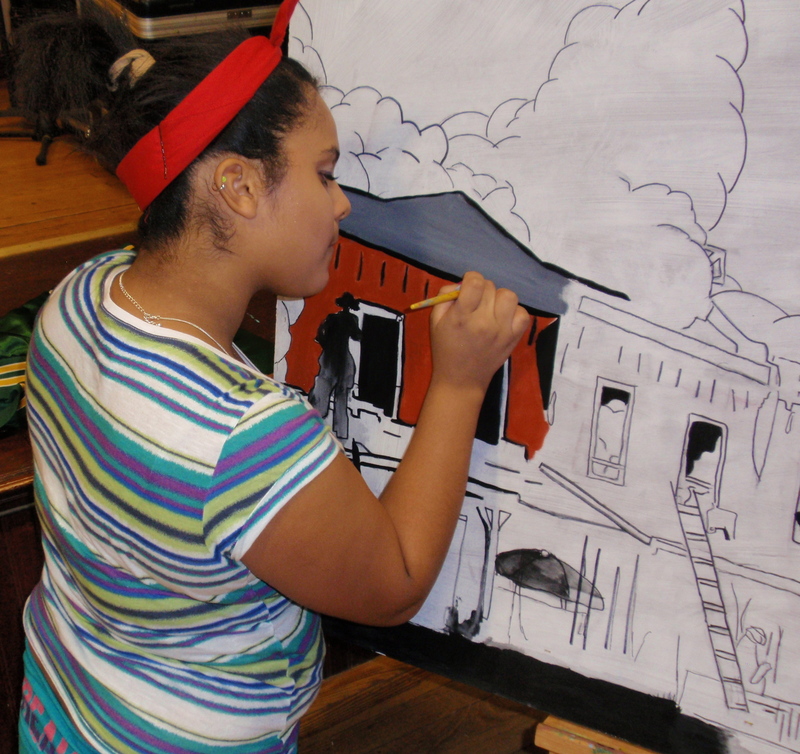 Serenity Pittman, 10, from Caln Elementary school, one of the younger mural participants, demonstrates her skills and concentration. Crans said the students are painting the mural on wooden panels because the room is used for so many other activities. “There’s no way we could have kept scaffolding up,” Crans said, explaining that nearly 200 children use the room each week for various purposes. 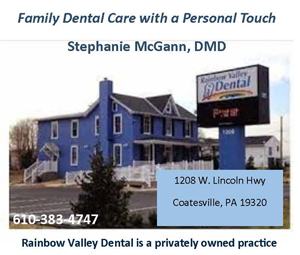 Both Crans and Brinton said they are extremely grateful for the financial support they have received from multiple agencies, such as the Brandywine Health Foundation, that has made the project possible. They wish that fund-raising weren’t such a struggle, especially in this economic downturn. The mural is so long that there’s plenty of room for multiple artists to work at the same time. Both women said seeing the faces of the budding artists reinforces their commitment to continuing the work. 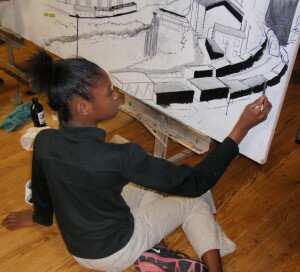 The mural is slated for completion in late May and will be hung in the former sanctuary.